Good man. I imagine those slopes in Denver are going to get worn out. Good friend, good coach, three Cups. He’s going to go in the Hockey Hall of Fame. I don’t know what else you say about him. If he wants to work, he’ll work. If he wants to work, he’ll work. That was obvious given Quenneville’s record, but it wasn’t clear if he did in fact want to get back into the game right away. Yesterday, Scott Powers of The Athletic released an all-encompassing notebook (subscription required) on the Blackhawks situation and included a note from a source that indicated Quenneville “definitely plans to coach again” but isn’t rushing into anything. Interestingly, Pierre LeBrun of The Athletic made an offhand mention of the upcoming Seattle job on the latest edition of Insider Trading, after reporting that Dave Tippett will be taking an executive position with the potential expansion club, not a coaching one. That Seattle job would certainly be appealing to a coach like Quenneville, but it would mean he has to wait on the sidelines for at least a few seasons at watch as the team is built. It would also likely mean turning down countless opportunities in the NHL, especially as teams start to move on from those coaches on the hot seat. Much of the speculation regarding those feeling the heat has centered on Mike Yeo of the St. Louis Blues since he admitted that his “job should be in question” recently. The Blues have struggled to find much success this season and obviously have ties to Quenneville given his eight years behind the bench in St. Louis. The Blues reached the playoffs in every season Quenneville coached them, but never could get to the Stanley Cup Finals. At this point, St. Louis, Seattle and any other team out there in connection with Quenneville are just possibilities, as the coach has been extremely quiet since the firing except to offer his thanks to the organization and players for many years of success. For now, we’ll have to just wait and see where his next landing spot is, and coaches all around the league will have to look over their shoulder now and again. St. Louis Blues head coach Mike Yeo said that veteran defenseman Jay Bouwmeester will be a healthy scratch for the first time in his career in today’s game against the Toronto Maple Leafs, according to Canadian Press’ Joshua Clipperton. The 35-year-old is in the final year of a five-year, $27MM deal at $5.4MM AAV, but hasn’t been as effective as he’s usually been since missing all, but 35 games in the 2017-18 season. 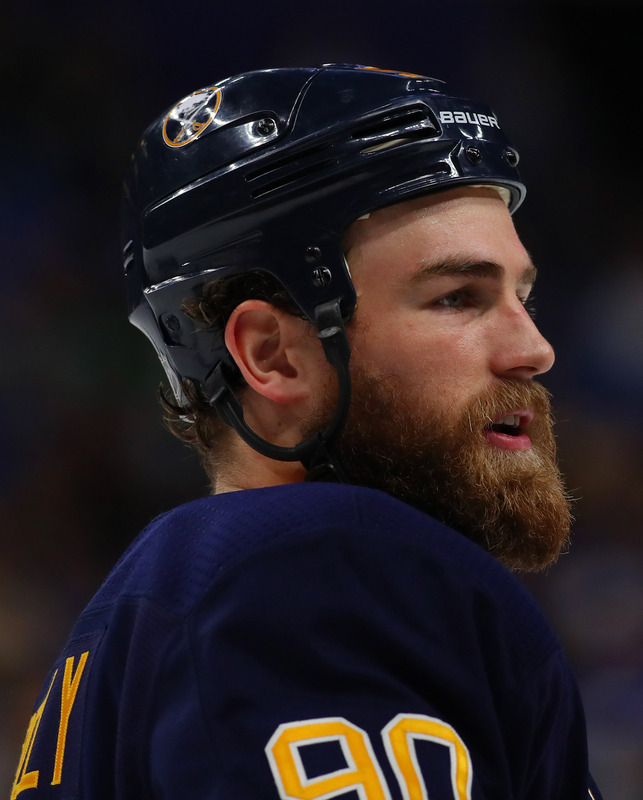 The team, which was expected to compete at a much higher level after acquiring a number of offensive players during the offseason, including Ryan O’Reilly, David Perron, Tyler Bozak and Pat Maroon, have struggled with a 1-5 start. The defense was supposed to be their strong point, but it has struggled this year. Bouwmeester, who is third on the team with an ATOI of 20:50, hasn’t helped with a minus-four this year in six games. The Blues are well-known for moving out contracts of veterans who are in their last year of their contract at the trade deadline even when they are fighting for a playoff spotand could be considering moving on from him later this season. The team moved Kevin Shattenkirk in 2016-17 and then moved out Paul Stastny last year. Bouwmeester has played 1,112 games over the course of his NHL career, 362 of which have come in St. Louis.